Berries and cream lovers (everyone? ), this one’s for you! 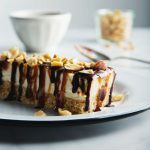 Today I’m sharing a decadent fudge with a creamy coconut butter swirl, and a new super berry you’re going to want to keep on your radar. Nicknamed “the beauty berry,” schizandra has a gorgeous vibrant purple/pink color, an abundance of antioxidants, and it’s also an anti-inflammatory powerhouse. It’s been widely used in Traditional Chinese Medicine for thousands of years, and for very good reason: schizandra is thought to support everything from adrenal function and our response to stress, to digestive and skin health (hence “the beauty berry” nickname). 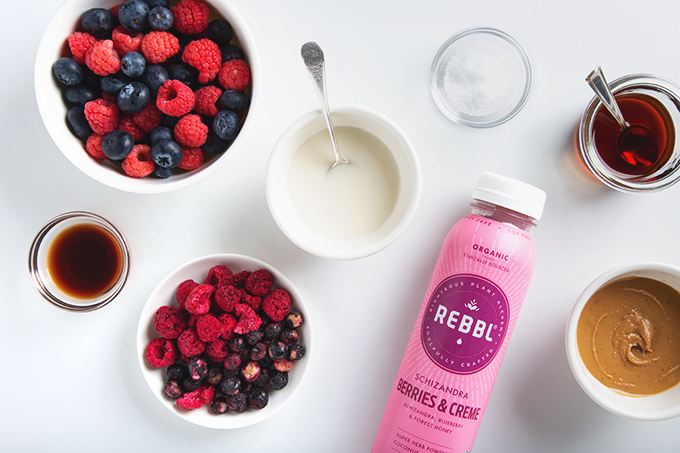 If you’re curious to try schizandra berry, one of my all-time favorite brands, REBBL, just launched a new Schizandra Berries & Creme Elixir (plus a new Banana Nut Protein and a 3 Roots Mango Spice Elixir, both awesome FYI). We’ve been collaborating with REBBL for the last three years on recipe development and photography campaigns (see if you can spot our latest work on their Instagram! 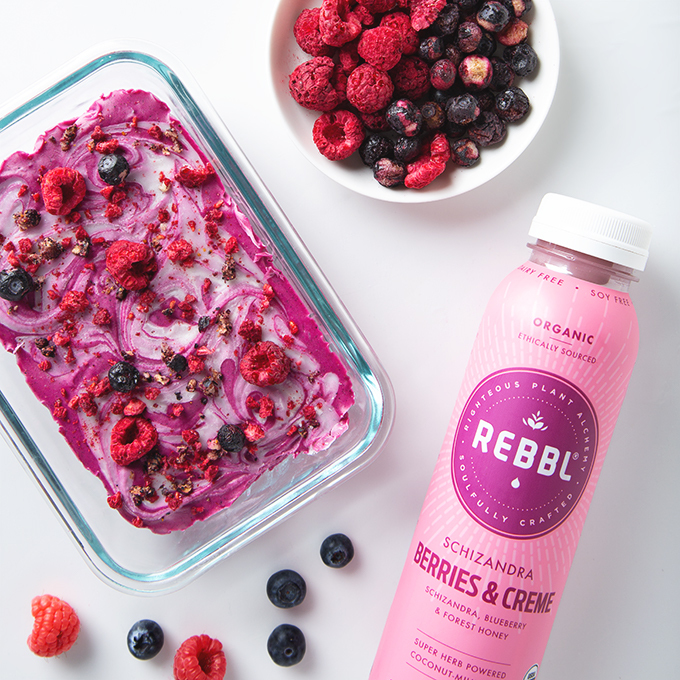 *), and truly—REBBL is the real deal when it comes to their commitment to wholesome ingredients, sustainability, and innovative flavor combinations. The Schizandra Berries & Creme is fruity and tart thanks to the combination of fresh blueberries, raspberries, pineapple, banana, and elderberries. It’s also lightly sweetened with forest honey and scented with vanilla beans, making it especially perfect as a midday pick-me-up that’s naturally caffeine-free. I love Schizandra Berries & Creme all on its own, but it’s amazing in dessert recipes too. Currently, one of my favorite ways to use it is in this Berries & Creme Freezer Fudge. The creamy coconut milk base, paired with coconut and cashew butters, is loaded with satisfying and good-for-you fats. Unlike most fudge, this recipe is sweetened with just a small pour of pure maple syrup, then topped with crushed freeze-dried berry “sprinkles” (so cute!). It’s a very simple blender recipe that requires only a handful of basic ingredients and takes just a few minutes to make. *Did you spot our photos? Here are a few recent examples: one, two, three. We did three photoshoot campaigns plus three recipe shoots in June alone, so keep your eyes posted for those on REBBL’s Instagram and blog soon! Super berry fudge rippled with a coconut butter swirl, then topped with freeze-dried fruit "sprinkles." 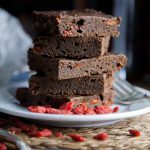 This vegan fudge is over-the-top decadent, all without processed sugar or dairy! Thank you to REBBL for sponsoring this post! We love their Super Herb Elixirs and Plant-Based Proteins, especially because when you buy any of their beverages, you help give back 2.5% of every purchase to Not For Sale in their mission to eliminate human trafficking and uplift vulnerable communities around the globe. Check REBBL’s store locator to find their drinks near you! 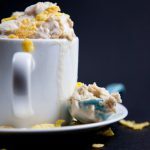 Filed Under: Ice Cream, Popsicles & Frozen Treats, Other Desserts COPYRIGHT © 2019 Amanda Maguire. All Rights Reserved. You are a swirl master! haha Seriously though. How did you get them to look so perfect?! Chopsticks! haha I spoon a very small amount of coconut butter on top, then use a chopstick to (gently) make the swirl pattern. Yes yes yes! I’m so pumped for this freezer fudge Amanda! I’m one of those weird people who doesn’t like chocolate (I know lol) so this is just perfect for me. Bring on the berries!! You don’t like chocolate?! Kidding. 😉 I wholeheartedly agree—bring on the summer berries! I think you’re going to love this new Schizandra Berries & Creme, Mary. It’s creamy but a little tart…perfect. Hi Amanda, I just subscribed to your blog today and I’m glad to have learned something new: schizandra berries! They seem to be the newest discovery. I was curious to know more about this berry and I learned you can find powdered schisandra fruit or fruit extract, you can take schisandra pills/capsules, you can make schisandra teas, tonic or wine as well as indulging your crazy delicious looking dessert, yum! I made this exactly as written and it turned out perfectly. It’s creamy and rich, but not overly sweet and it doesn’t make my blood sugar spike. Thank you for turning me onto the REBBL drinks. They’re delicious. Yay! That’s great to hear, Alice! This is beautiful, Amanda! I love berries and cream and usually do bowls of sliced strawberries, blueberries and whipped cream sweetened with a little maple syrup. 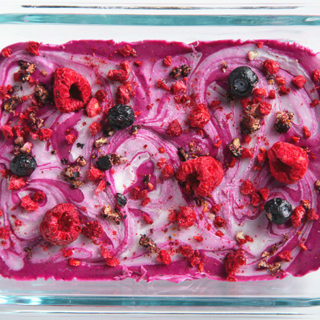 It’s one of my favorite summer indulgences and so easy too. I’ll have to try your freezer fudge soon! 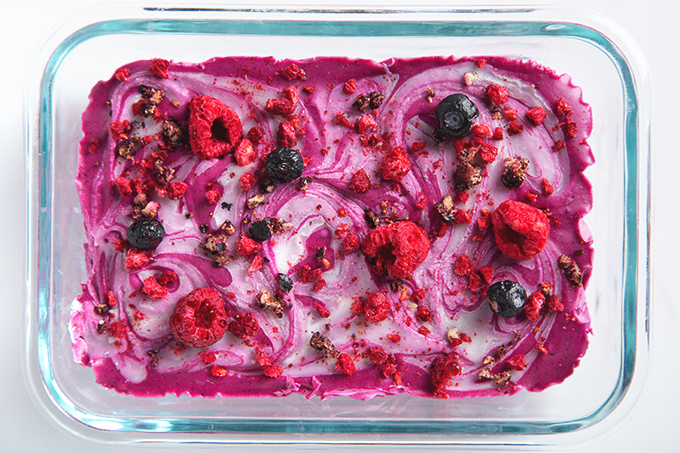 I love the simplicity of summer meals and dessert, when produce is so good all on its own. <3 I hope you'll give the fudge a try soon!